In the industry, Nike’s has maximum or main competition; direct competitors of the company include Adidas AG, Puma AG, and New Balance etc. However, the customers of the Nike’s have the brand awareness and this is the reason that the company put more effort in the products. However, new entrants required the huge amount for the capital; therefore, Nike has the maximum market share in the footwear industry (Reuters, 2016). The target market of the Nike includes the athletic footwear market example, there are the products for the sports, urban youth, individual athletes, athletes, teams etc. the company is aspiring the maximum of the consumers. Nike has maintained and promotes the position in the market, as the company is focused on the self-confidence, style and the attitude. Nike is giving the effective or clear message to the customers with the tagline “Just Do It”. Therefore, athletes are supported in the market and they are interested in buying the products. Moreover, Nike has the effective operations since 1989 and has the positive brand image. Nike has focused on the effective strategies in order to get the advantages in the market, as there is the emphasis on differentiation strategy and the company is continually strives so that there could be innovation, as the company innovate the Nike+iPod sports in the year 2008. From this the athletes could monitor their runs. Moreover, footwear market is highly competitive but Nike is maintaining the long-term growth for the sustainable achievement as by the year 2015, the company has the revenue of $27 billion (Trefis Team, 2017). Nike is focused on the effective supply chain as there are multi-brand stores and the exclusive Nike stores in the countries. Nike has the variety of products, as the company has the official website and there are the customize and design products or shoes for the customers. Nike is focused on the premium pricing strategy because the premium quality is given to the customers. There are about 20,000 retailers in the country U.S. and approximately 200 in the other location of the world. 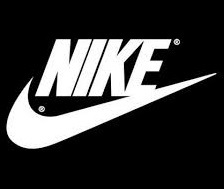 Regarding the competitive advantage Nike is marinating its position in the market, as the company is satisfying consumer’s needs and there is the innovation in the company original products, therefore, in the industry Nike is sustained and upholding its position. Nike is known as the market leader in the athletic footwear market because competitive advantage is there and dominant strategic plan when compared to competitors. Nike has the strength in the market as the company has the strong brand recognition and there is focuses on the innovative product range. There is the weaknesses in the product line of the company, as Nike have large product portfolio and there are maximum share of footwear market based on the reason the company unable to focus on single product which divides the customer’s attention. There are the opportunities for Nike in the market as there could be focus on the Generation Y or the women, example, Nike could appeal health conscious women by providing them with the women’s yoga shoes etc (Trefis Team, 2015). There are the threats to Nike, as the company focuses on outsources and there are manufacturing to different countries. Therefore, the company does not have the control over on the country political and the legal environment. Nike is facing high level of competition in the market because the competitors have the variety or efficient product range and the target markets. Focused on the size and shape of the Nike trade area, it could be said that the company is focused on the skills and educations so that there could be the effective decision regarding the factory locations. Nike is serving best to the host nation by selecting the best location where customers could easily reach. Nike is focused on the convenience goods so that there could be the easy access to the customer, allowing the customers so that they could do quick sales. Nike has the athletic shoes as the specialty goods. Nike has effective size and shape of the outlets in the international market. While noticing the trade areas, Nike is serving in North America, Western Europe etc. and other the emerging markets example China, Japan etc. Nike is focused to mange or sells athletic-shoe in the worlds wide because it is the largest maker. However, the company has the effective operations in the Americas and Europe and the market is also effective in the Middle East and Africa. There are the services in the China and Eastern countries; China has the faster-growing markets. China is the country that has overtaken Japan because it has become the Nike’s second-largest market. There are maximum sales as the sale exceeding about $1 billion and the retailer is in profit because China is participating in the half sales outside the U.S (Marketwatch.com, 2009). The positive aspects of Nike could be explained as the company is focused on the effective production of sportswear by deciding the best place to decide it; Nike has outsourced many parts in the developing countries. There are the benefits because there is technological growth a company focused on productive capacity (Descaparatismo.com, 2015). There are also the negative aspects of the Nike locations, as there are evidences of the abuse of workers because they work in terrible conditions in factory. Nike factories are exposed to the bad pollutants, heat and the toxic chemicals as glues used, employees are living in bad health conditions. Regarding doing the analysis of the competitors, it could be said that the company has decided best locations as compared with the competitors because there is focus to get the maximum revenue in industry, Competitors are there in market and also having outlets at ideal places but Nike is most recognizable brand with positive image. The Nike’s outsourcing strategy is very efficient. Nike has the faster-growing markets because there are online services for the customers in overall the world. The locations are neat and tidy. Nike has the brand identity, therefore, using the design and the innovation as tools so that company could able to achieve its goal and remain competitive.